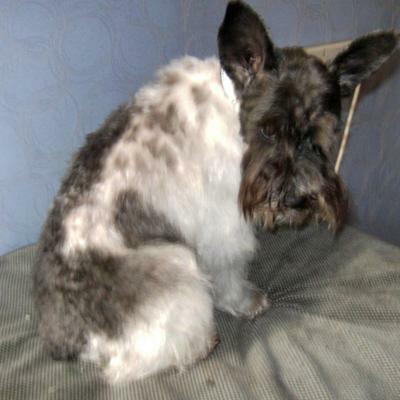 Hi wondered if you would like to update your info on available schnauzer colours in the UK. The Parti Toy has arrived and is alive and well in the UK please take a look. If you would like more info please contact one of us on the web site. Please go to SchnauzerGems.co.uk and not the .com version as that is no longer used. Iv just had visitors around whov never seen the Parti schnauzers before and are schnauzer fans, they are now seriously considering a black or liver parti puppy when one is available, they are going to wait now, as they were going to have a pepper and salt but seeing the partis have really become smitten, they loved Hugos size, Hugo is our black parti boy.